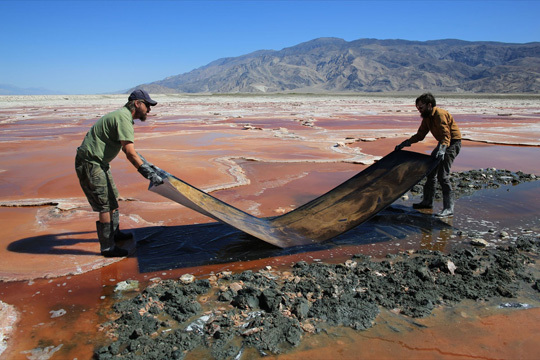 Many thanks to Joelcy Kay for featuring images from the series, "Finding Our Fathers" in her online magazine, Edge of Humanity. It's a wonderful resource to explore and includes photography, book reviews, recipes and I'm sure more that I haven't gotten to yet. To see the feature, please visit this link. 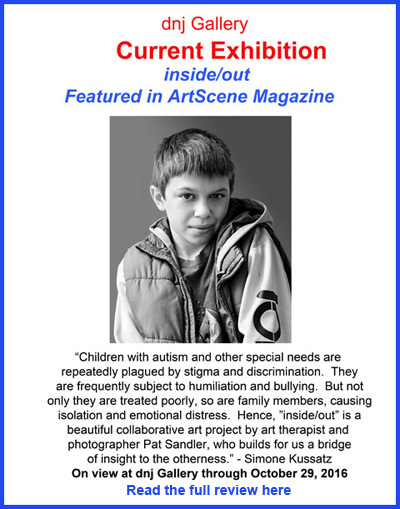 I am thrilled to have been chosen by Aline Smithson as one of twelve photographers who will have a piece exhibited LARGE on a billboard somewhere in the N.Carolina triangle for the month of October as part of the Click Photo Festival exhibit, "Writ Large". Stay tuned for location! 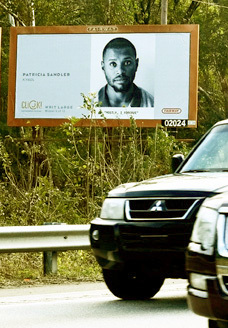 On I-85 outside of Durham, N.C. 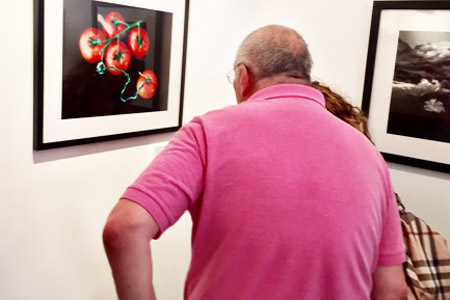 Happy to have had the unruly tomatoes chosen by Paula Tognarelli for LACP's 4th Annual Members Exhibition at dnj Gallery, Bergamot Station through August 27th. 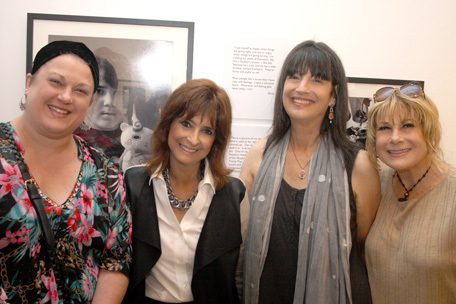 Went to a fantastic presentation at Photo L.A. curated by Weston Naef, and featurning Luther Gerlach, the Optics Division of the Metabolic Studio and Jacqueline Woods called "Handmade Perspectives on Art and Craft in the Digital Age" The work was beautiful and inspirational, and in some cases jaw-dropping. 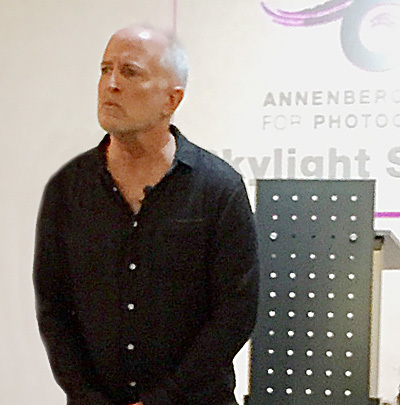 Attended a great and practical lecture by Dan Miller of Duncan Miller Gallery at The Annenberg Space for Photography; "Fifteen Things You Can do to Get Represented by a Gallery". A very generous offering! 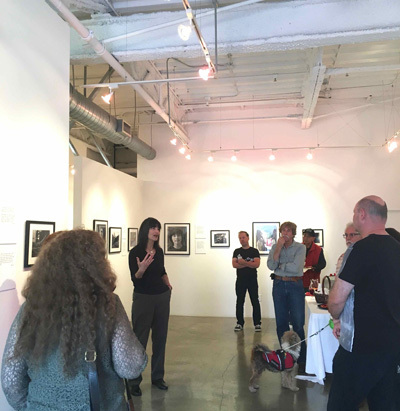 Had a great time giving an artist talk at dnj ! photography. Check out the auction here. 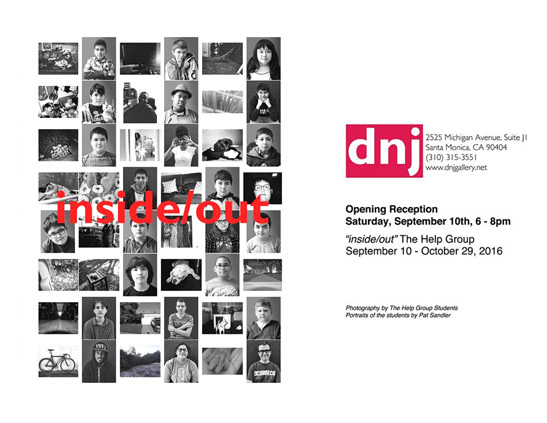 With the incredibly generous support and enthusiasm of dnj gallery owner Pamela Schoenberg, I am so pleased to announce that the exhibit "inside/out" will be shown at dnj from September 10-October 30, 2016. 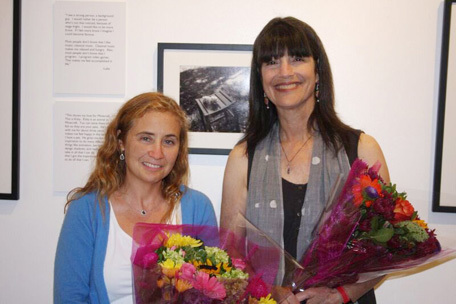 Many thanks to Pamela and to her gallery manager, Corey Grayhorse for all they have done to exhibit this project. I would also like to thank The Help Group for the continual support, encouragement and hard work that has contributed so much to this project. 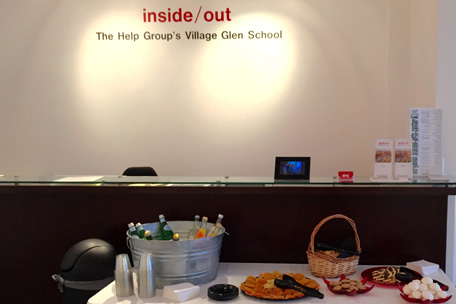 "inside/out" is an exhibition of photography and written word created during two photography projects conducted at Village Glen School, an environment created to support individuals with diverse talents, strengths and needs, many of whom are on the autism spectrum. The exhibit also includes portraits of the young people which I took at the end of our projects together, and the students written response to that image of themselves. I hope you can join us at the opening to celebrate this work. I have had a piece selected by Kahn & Selesnick for "Dreams, Fantasies and Illusions", PhotoPlace Gallery, Middlebury,Vermont. I have had two pieces from the "Visiting the Dead" series chosen by Susan kae Grant for TPS 23. The show opens April 4, 2014 at A Smith Gallery in Johnson City,Texas, and then toursTexas for one year. 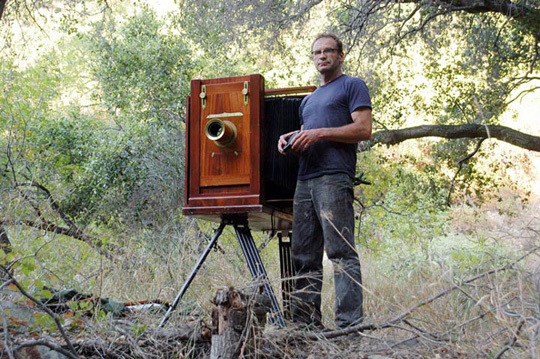 Thank you to Jim Casper for inviting me to place a profile on LensCulture. Check out my page here. 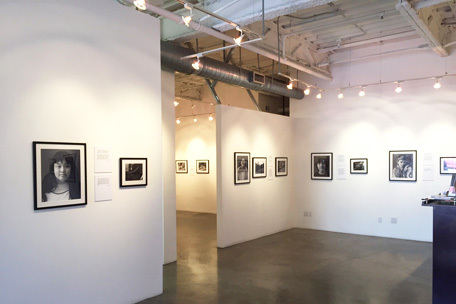 Many thanks to Rixon Reed at photo-eye for inviting me to join the Art Photo Index. My page can be viewed here. I am pleased to have been awarded an honorable mention in writing in the Maine Media College/Workshops Dreams competition. My poem, called "Eleanor's Song", and other poems can be read here. 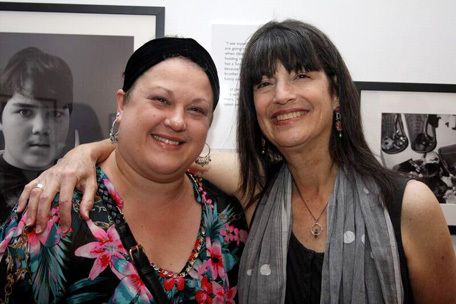 Thanks so much to Aline Smithson for featuring me on her wonderful blog, LENSCRATCH . Check out the feature here.